On Scene: The Biggest Spring Inventory Blowout Sale EVER! 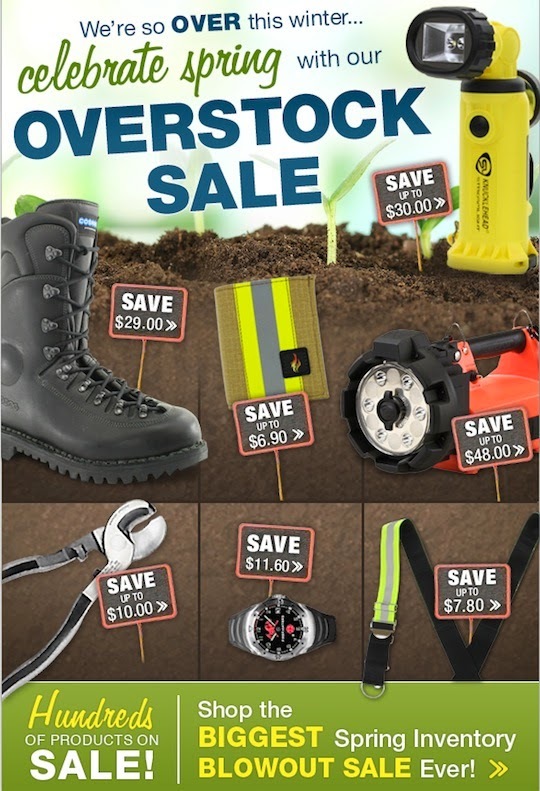 The Biggest Spring Inventory Blowout Sale EVER! Last week we had our yearly Inventory count--and the good news for you is that when we discover products we have a great stock in, we get to put them in a huge blowout sale. The Biggest Spring Inventory Sale we've ever had is here now! We have hundreds of products on sale. This little (big!) sale will be the one to kick your winter blues from the longest winter ever, while you get stocked up on the products you need and love for a killer deal! So go ahead, browse the sales. You won't be disappointed in our stock of hot items--everything from flashlights, to tools, to watches and more.